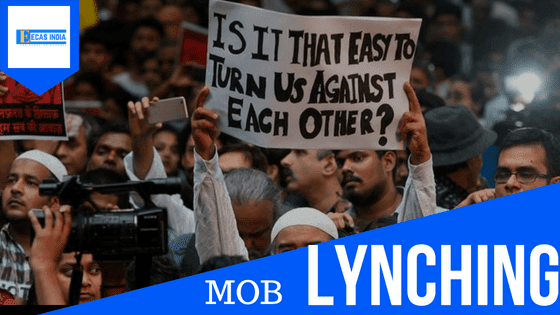 The case of mob lynching in India began due to the atmosphere of hate and suspicion against Muslims, created through the political campaign mainly involving the National Government of India. Engaging in "meat politics" and calling for cow protection had been the common tools for Hindu Nationalist Politicians. This is where the apt description of such violence started. The attack on the people majority Muslims continued in the country which attracted media attention and widespread condemnation from all the parties except for the Bhartiya Janta Party. The things got worse for the past two years of Modi Government after BJP leaders kept calling these incidents an accident and the result of the genuine anger of Hindus over cow slaughtering. This lead to the rise of a new form of terror in the country 'The Saffron Terror'. Not only the political party but the Rashtriya Swayamseak Sangh (RSS), a Hindu nationalist organization in affiliation with the national government, had played a role in whipping up the Hindu sentiments and encouraging, indirectly, the cow vigilantes. When you have a Prime Minister who as the Chief Minister of Gujarat had himself advocated extrajudicial encounters and man as Chief Minister of Uttar Pradesh, Shri Yogi Adityanath, who had to build his political career around suppressing the minorities, thus making the mob more empowered. Here to the mob, I meant Hindu or Cow Protectors. Minorities now don't even except the running government to condemn the mob lynching. 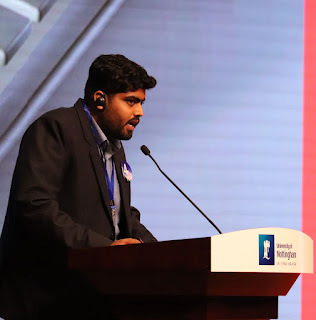 Recently there have been many cases of the mob lynching which "he personally feel to be taken out and let the world be known for the 'Derailed Human Rights' in India", says the writer of this blog. If someone is not a sociopath, psychologically disturbed or doesn't have empathy and moral feelings, there are strong inhibitions against killing others. I require the special environment to overcome the inhibitions carry out horrific crimes like a public/mob lynching. This is the special environment in which I have talked about the whole atricle. Highlighting the barbarities of mob lynching and questioning the authorities is in no way an attempt to undermine the severity of the crime they allegedly committed or at absolving them of this crime. But we do need to understand the relationship between the identity of the victim and the power dynamics of the ruling political class.